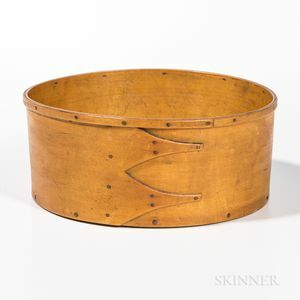 Yellow-painted Shaker Spit Box, America, 19th century, with finger-lapped seam and narrow applied rim, secured with copper tacks, ht. 3 1/8, dia. 7 1/2 in.